This article is for users that already have a SendGrid account. If you don't have an account, please contact SendGrid or create one. SendGrid is a partner with the email service trusted by developers and marketers for time-savings, scalability, and delivery expertise. In order to integrate with them you need to create an API key. In order to do this head over to Settings >> API Keys. 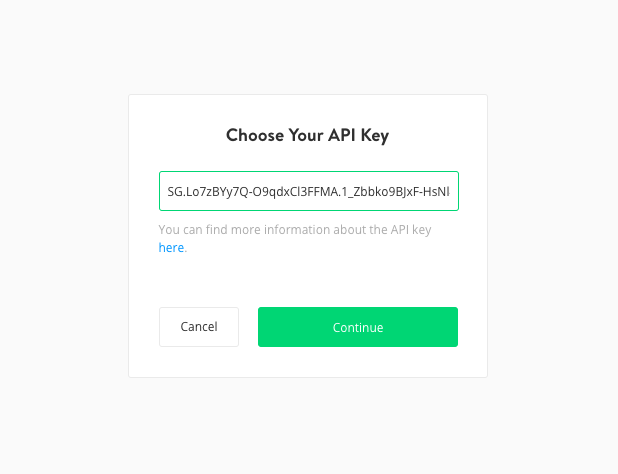 Create a new API Keys with full access and copy this key. 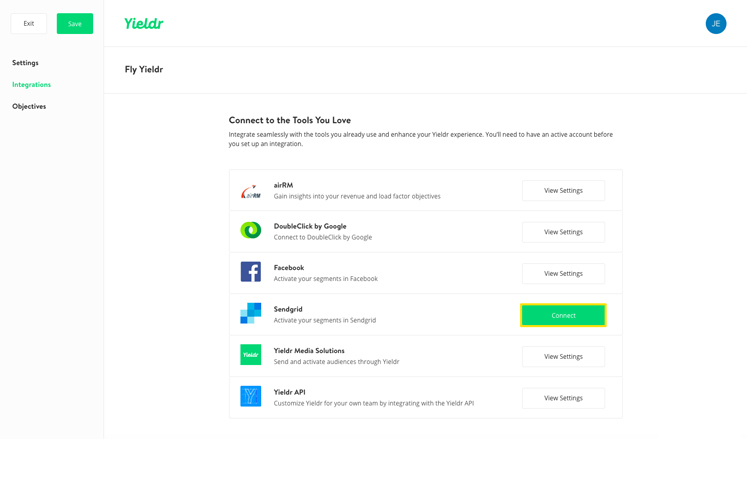 Next go to to the integrations section in the Yieldr DI platform and click Connect. This opens a screen where the API keys needs to be pasted. Paste the API Key and click Continue. 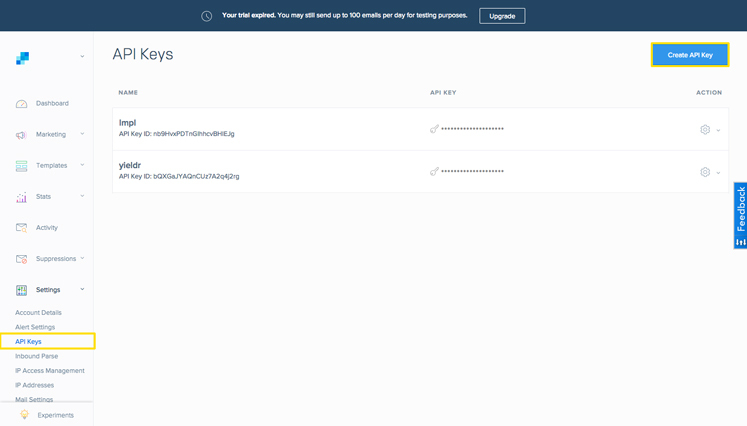 Now the connection is set and you can start sending segments to your SendGrid account. 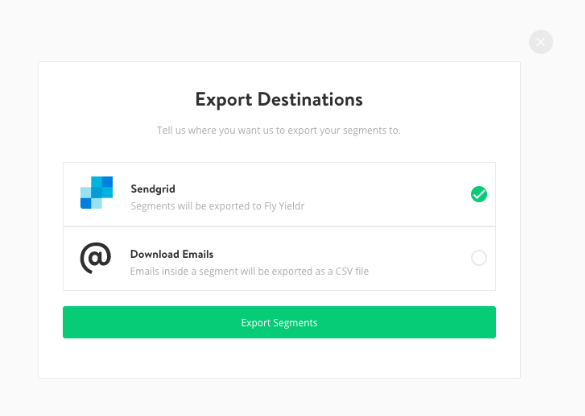 Once you've exported your segment it should be available in your SendGrid account's Contact Lists & Segments dashboard in less than an hour.